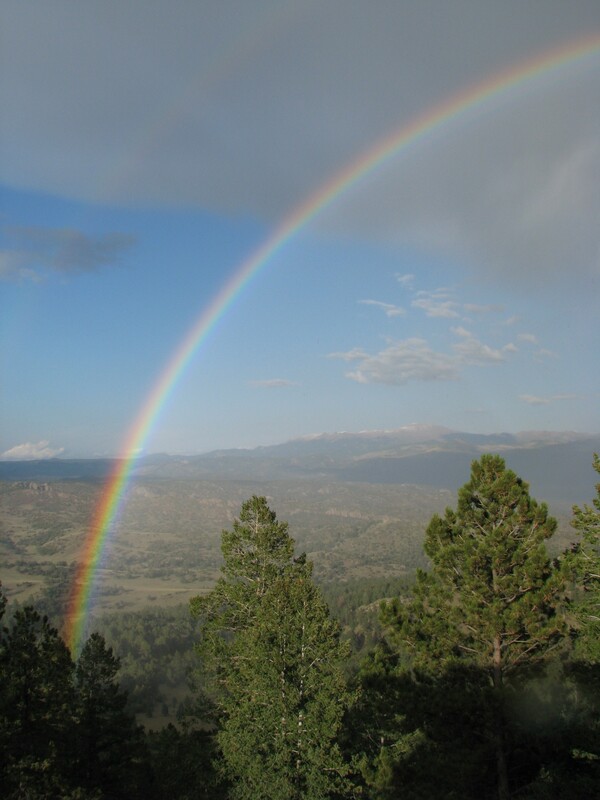 For the purposes of this blog, what’s relevant to know about me is where I live, which is on a grassy ridge in central Colorado, at an elevation of 8900 feet. The nearest town of any size is thirty miles away and very few of my neighbors have a social security number. Their identities are, instead, defined by their habits and roles in the landscape. Since moving here in 2001, I’ve been observing these neighbors—the deer and elk and coyotes, the juncoes and Clarks nutcrackers and golden eagles and mountain bluebirds, the ants and spiders and bee flies, the chipmunks and packrats and Abert squirrels, the lichen and ponderosa pines and bunchgrasses—trying to figure out how my own habits fit, what role there is for me in this landscape. The county assessor lists me as an owner, but what does it mean to inhabit this ground as opposed to holding legal title to it? My book, Between Urban and Wild, outlines how I began to frame this question, along with others that relate to how we modern humans interact with land and landscape. This blog carries on that line of thought. I was born and raised in Colorado, and other than a couple of stints in England for study abroad courses, have lived here all my life. These days, I share my home ground with my husband, Doug, and our two horses, Moondo and Jake. In addition to the aforementioned book, my essays have appeared in Orion Magazine; the Christian Science Monitor; High Country News; Wildbranch: An Anthology of Nature, Environmental, and Place-Based Writing, and in Ankle High and Knee Deep: Women Reflect on Western Rural Life. As the owner of Jones Literary Services, I work from my home office as a freelance indexer, providing back-of-the-book indexing services for authors and publishers. Yes, those tidy columns of phrases and page numbers you find in the back of many nonfiction books are written by people, not computers (the useful ones, are, anyway). Writer, plant biologist, and fellow upper-Arkansas-River-watershed resident Susan J. Tweit discussed essay writing, the act of seeing, humor, indexing, and more with Andrea, for Story Circle Book Reviews. Essayist and poet Linda M. Hasselstrom offers writing retreats at her family’s ranch in South Dakota, which I try to attend annually. Linda relates a humorous story about book promotion that involves Between Urban and Wild here. Sharon, it was a pleasure to get to meet you in person on Saturday. I so appreciate you sharing a link to my blog! I’ll be looking forward to the event, and to seeing you there. I am so glad that I met you at the Mountains of Authors event at Library 21c today, and I look forward to reading your book (thank you for your special dedication), and to following your blog. We live in an inspiring state. Tanja, I’m so glad we met, thank you for seeking me out, both at the event and now online. You’re right: “inspiring” is a perfect word for the opportunities to see and do (and write!) in Colorado. I’m really looking forward to exploring your https://tanjabrittonwriter.wordpress.com/ blog. I appreciate your kind response, Andrea. I enjoyed reading “The View from Home” but was sorry to learn about your loss. I can relate to the mind-broadening and healing effect of nature, and of birds in particular. I hope your view will continue to reveal life’s marvels. Well gee, I just discovered this. Thanks for the plug!